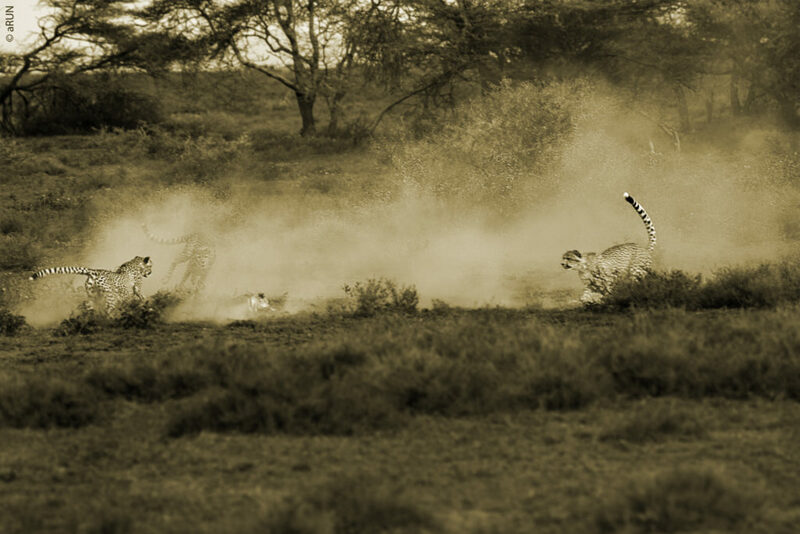 Wildlife photographer Arun Ahuja captures the Big Four across national parks in India and Africa. My fondness for the wild has taken me to many wildlife parks across India and Africa. Through this photo feature I share my love for Big Cats: the Tiger, Leopard, Cheetah and Lion. Apart from their magnificent beauty, it is most interesting to observe their behaviour through expressions, body language and movement. Besides the thrill of seeing these powerful creatures, what I take back home is a part of their story captured through a lens. is the largest of the cat species. Once found in abundance over Eastern Eurasia, it is now limited to parts of Asia and Russia. Most national parks in India identify tigers by their stripe patterns and name them with ‘T’ followed by a numeric, like ‘T-24’. Sometimes their names are inspired by their lineage, physical features or even the territory they occupy, like ‘Choti Tara’ (Tara Jr), ‘Kankati’ (the one with the cut ear lobe) or ‘Waghdoh Male’ (named after the Waghdoh area in Maharashtra, India). Tigers are good swimmers, unlike their smaller feline counterparts. 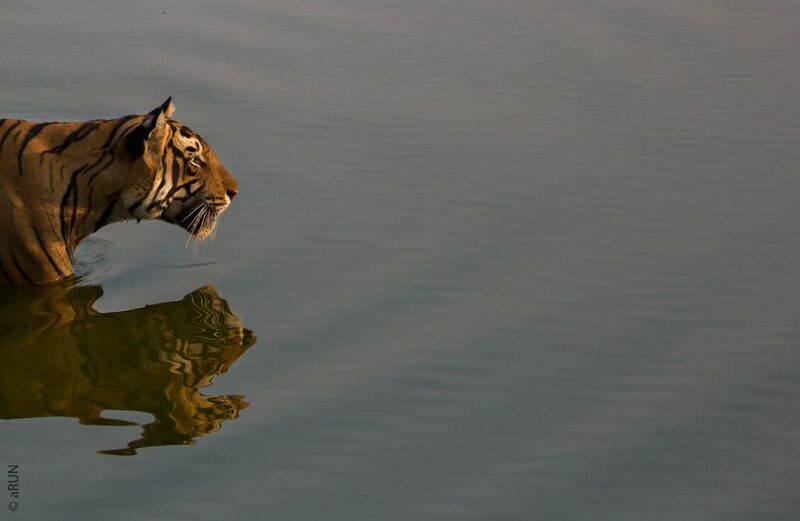 Here, a young tiger T85 or Pacman (named after a marking on his brow that resembles the video-gaming icon) is seen wading stealthily through the famous Rajbagh Lake in Ranthambhore, his eyes and ears focused as he stalks his prey – a deer. 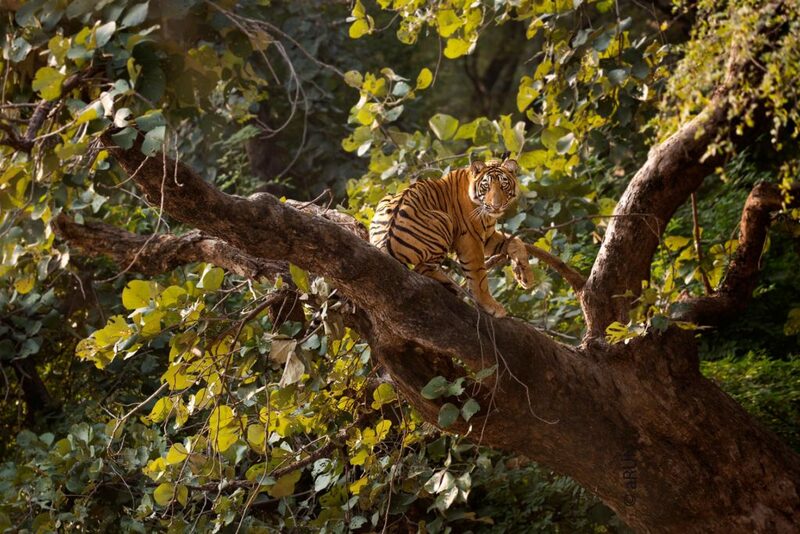 Tigers are capable of climbing trees. Although this skill is inversely proportional to his age, a playful six-month old cub seems to have no trouble finding his perch in his treehouse. T39, fondly called Noor, is a tigress in her prime. Here, she inspects her area by smelling trees for familiar or unfamiliar scents. 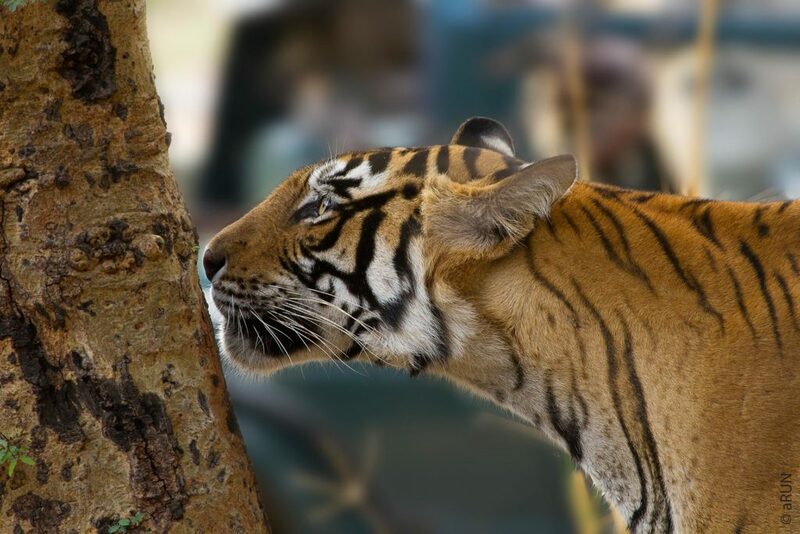 Tigers spray urine on tree barks at regular intervals as territorial markers. Trespassing tigers and other foes often face her wrath, only to rapidly retreat from her domain. 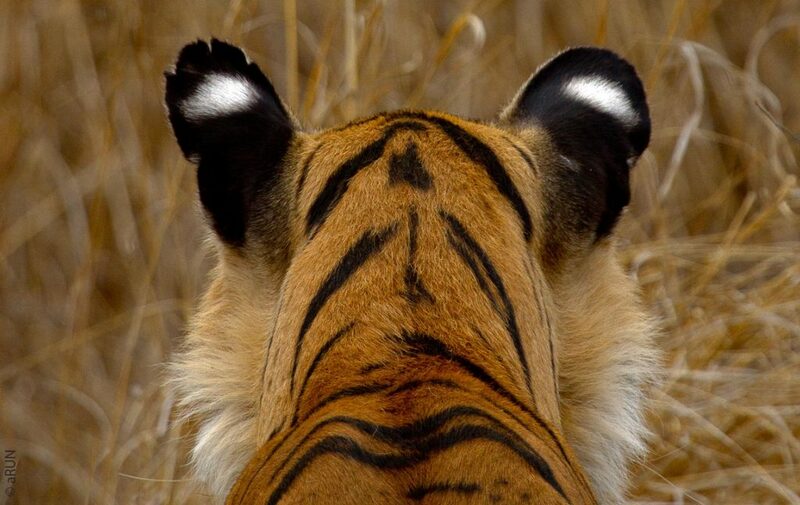 Although the exact function of these white spots on the back of a tiger’s ears is not entirely known, theories suggest that they are ‘The Grand Illusion’. The markings look like eyes, which often confuses their prey, or serve to discourage other predators who normally hunt and attack from behind. They go towards making the tiger a more formidable predator. Another speculation suggests that these spots function as a flag that guides cubs to follow their mother through tall grass or dense foliage. They are also believed to be a signal for aggression. 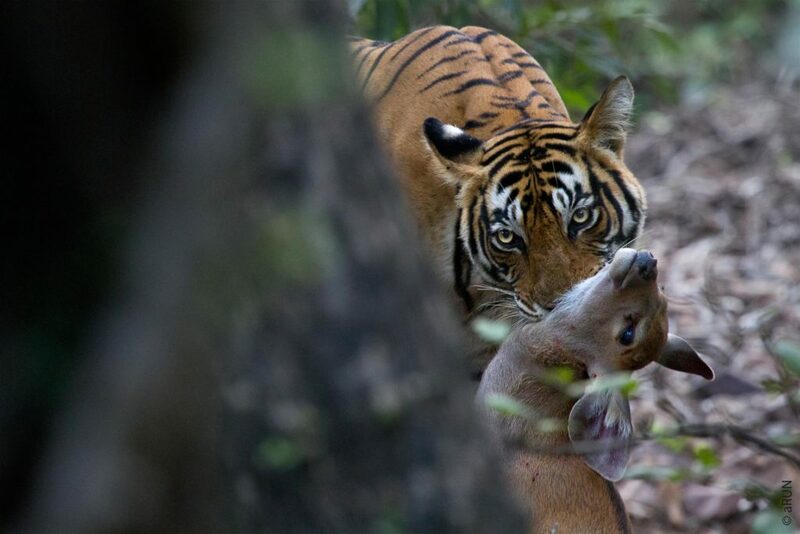 A tigress skilfully captures a fawn and carries it alive to her cubs for some kill lessons. 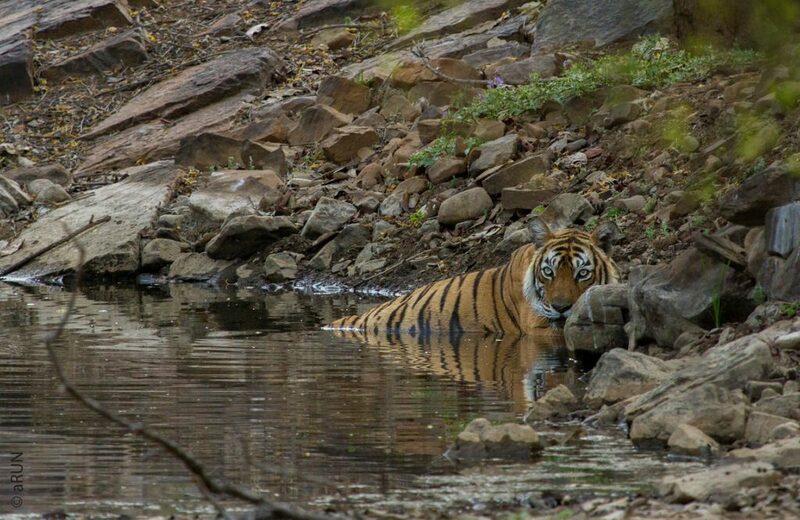 The longest reigning queen of the Ranthambore jungles was popularly known as Macchli (‘fish’ in Hindi). Known by a number of titles over the span of her life (which only served to reinforce her status as a legend) she was India’s oldest and most famous tigress living in the wild. Queen Mother of Tigers, Tigress Queen of Ranthambore, Lady of the Lakes and Crocodile Killer were a few names by which she was fondly known. Macchli was accorded the equivalent of a state funeral when she died at the age of 19.
is the most opportunistic predator amongst the big cats. 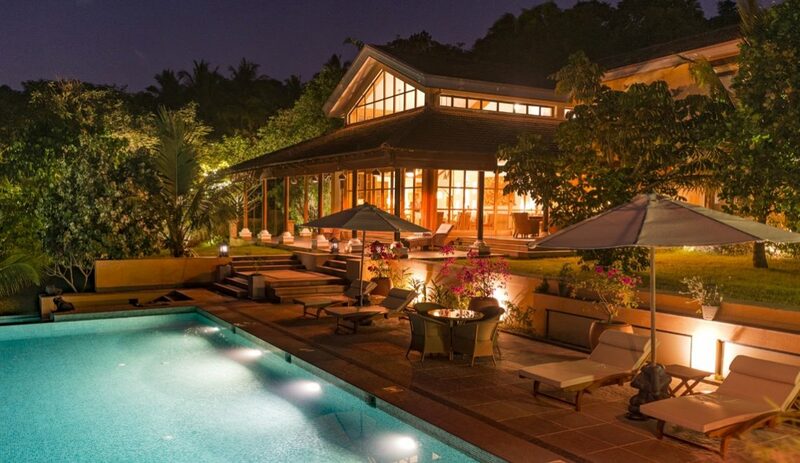 Its adaptability to various habitats ranging from rainforests, deserts and mountains to city outskirts and farm lands, makes it a hardy survivor. Its astute hunting behaviour, broad diet and brute strength to lift more than its body weight, adds to its widespread existence. 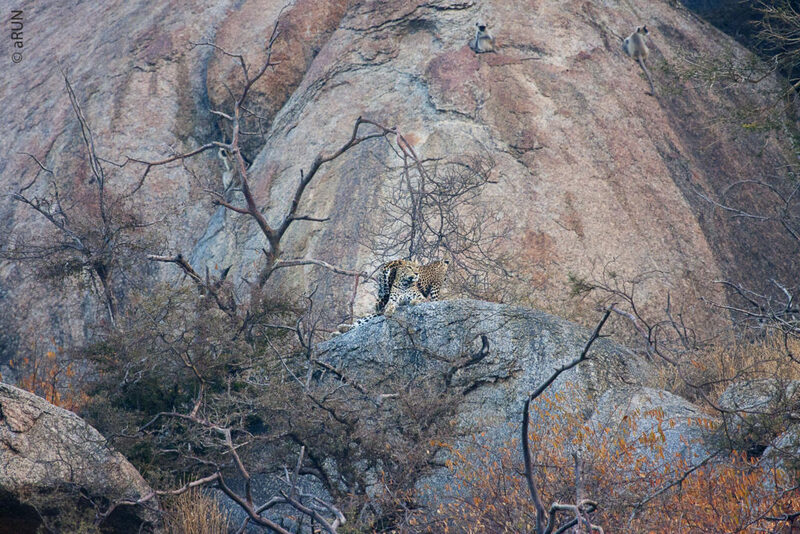 A pair of leopards watch as breakfast vanishes to safety! 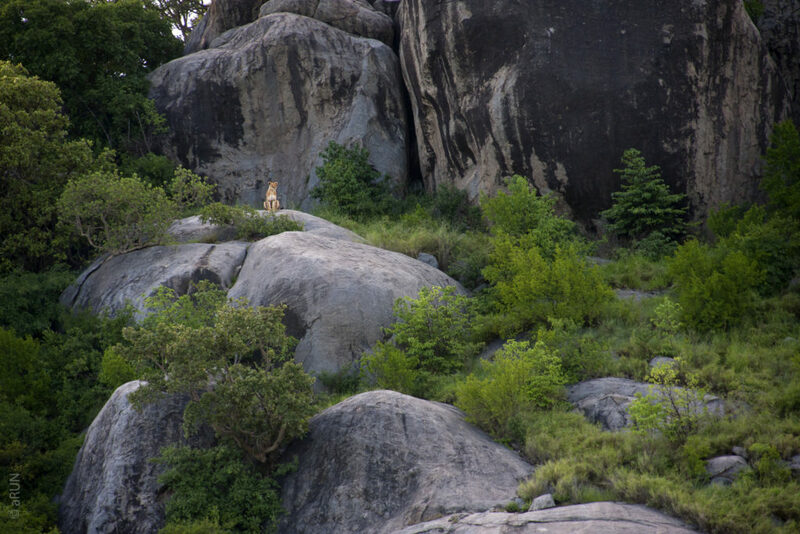 Agile Hanuman langurs scale a near-vertical rock face that the leopard pair know they cannot possibly negotiate. A great tease for the formidable leopards and a great treat for me. Shot before the sun touched the Devgiri hills of Bera, Rajasthan, the faint morning light added to the drama. The most attractive attribute of big cats is their effortless strength, agile movements and hunting prowess. They are genetically endowed with supple yet strong muscular bodies that move gracefully and leave you in awe. 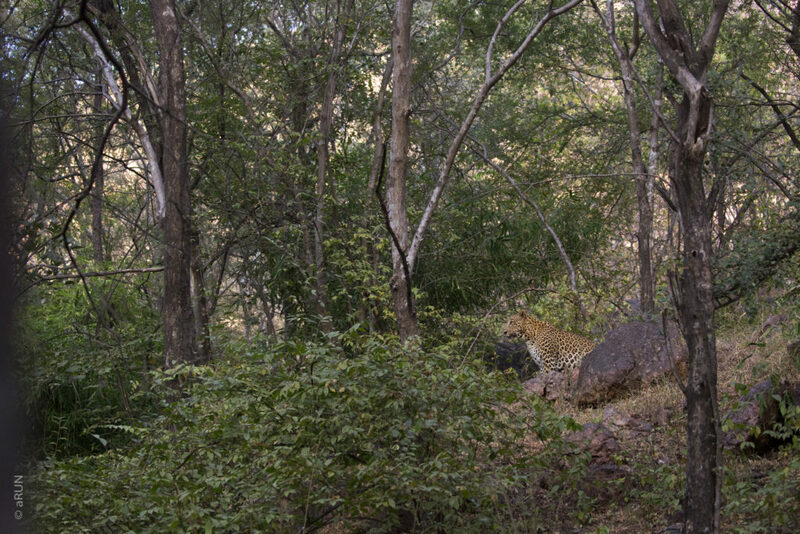 This leopard commenced his shift of keeping watch on a late evening in the jungles of India. His intent vigil may have earned him a good meal at the end of the night. 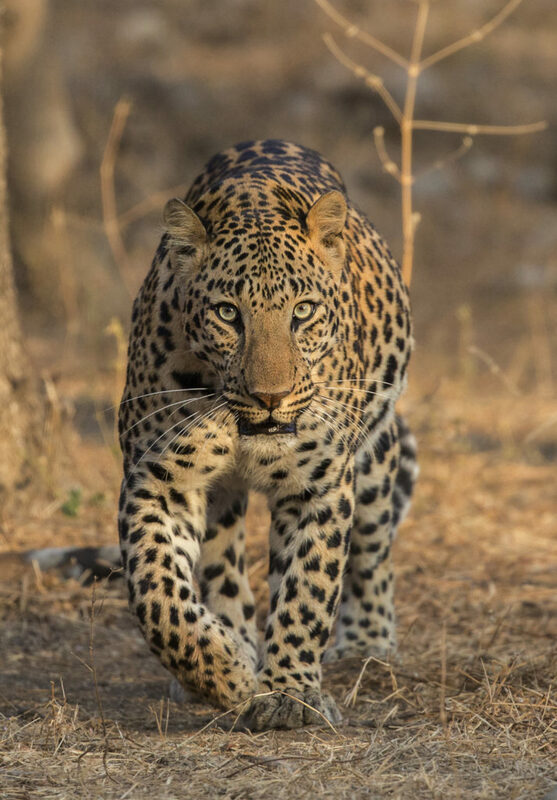 Leopards are nocturnal predators, often seen in the late evening or early morning. 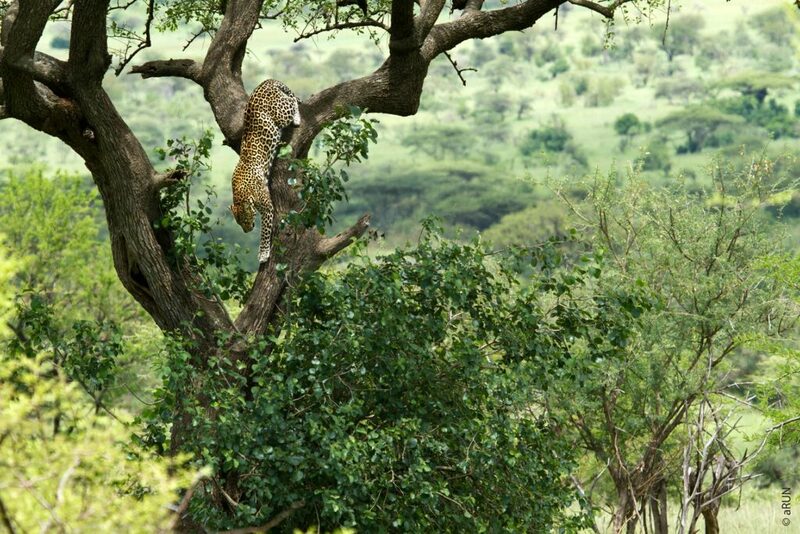 Perched at his vantage point atop a tree, this leopard seemed to enjoy his aerial view of the African Savannah. He served a long shift, allowing me ample time and immense pleasure in capturing his various moods and poses. What goes up must come down. 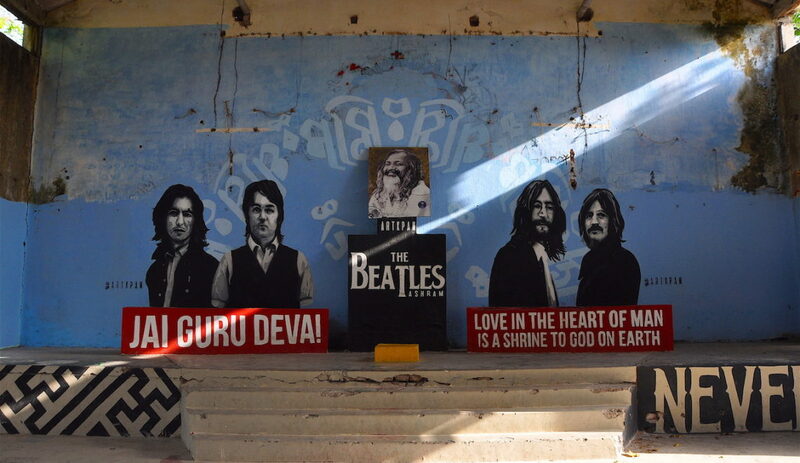 Newton and patience established the fundamentals for this photograph. A seemingly endless but patient wait was rewarded when some gazelle grazing nearby sparked this leopard’s interest. As he climbed down from the tree, I could not help but admire his beautiful form and the agility of his movement. is the second largest of the big cats after the tiger. 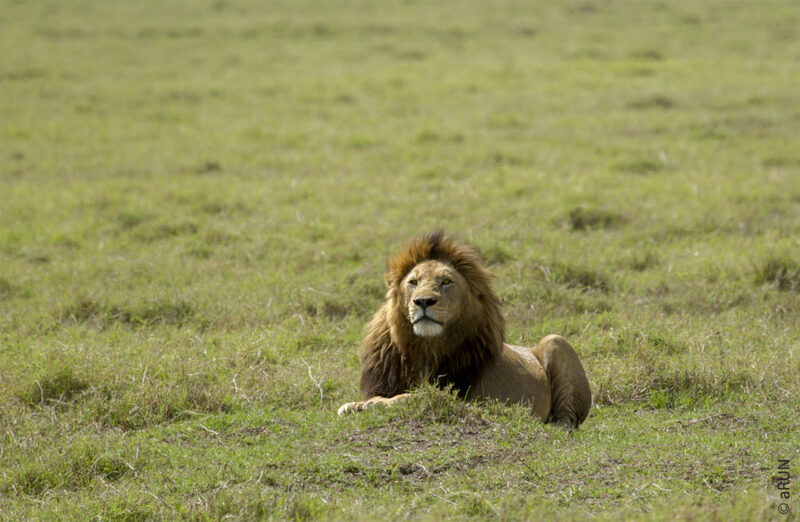 Wild lions currently exist in Sub-Saharan Africa and the Gir National Park in Gujarat, India. 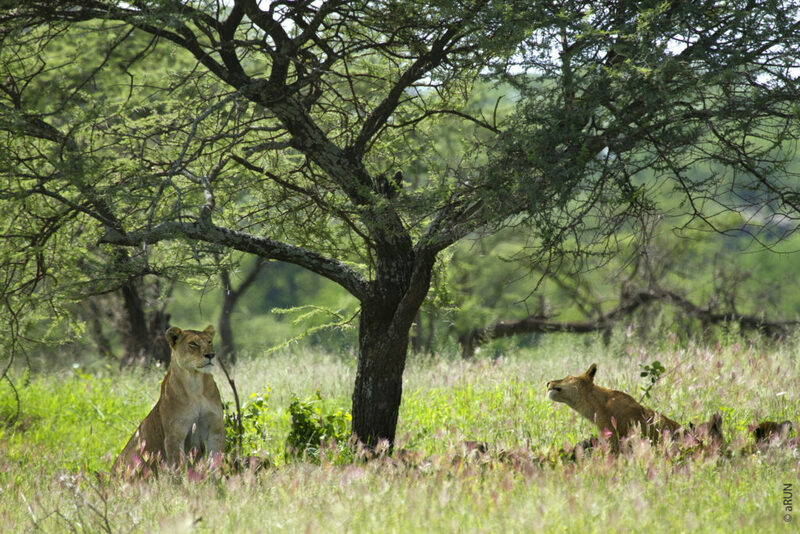 Unlike the other big cats, lions are extremely social and live in prides. The average pride may consist of around 15 lions but these are known to reach up to even 30 in number. The king of the jungle sits upon his throne. In the unforgiving landscape of the Serengeti, lions often inhabit large rocks or boulder hills. 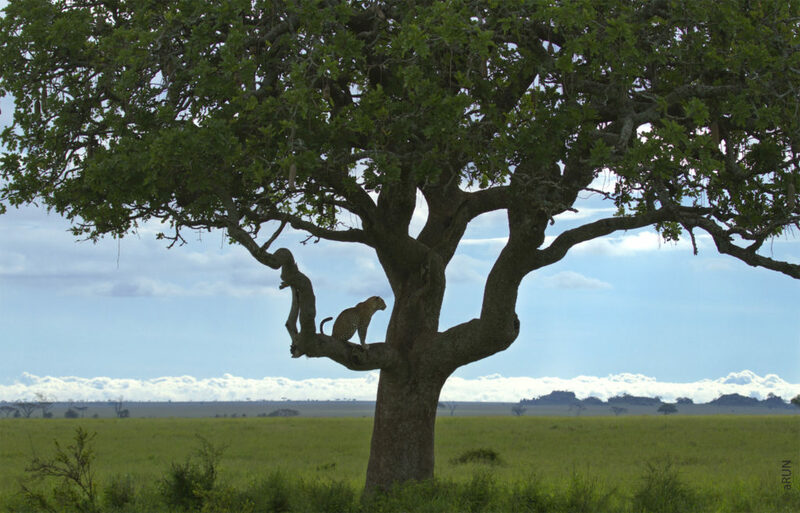 These towering islands in the sparse grassland provide a vantage point for lions and their pride members to survey their kingdom, seek potential prey and keep their cubs safe from other predators. A regal mane and robust body are what make the lion a most majestic animal. This one had an expression that commanded authority. The lion is the only feline that lives in prides or coalitions in order to survive. It is believed that lions have adapted, through the course of evolution, to the concept of ‘power in numbers’ in order to be able to hunt and raise their young. A mother can move mountains for her offspring. 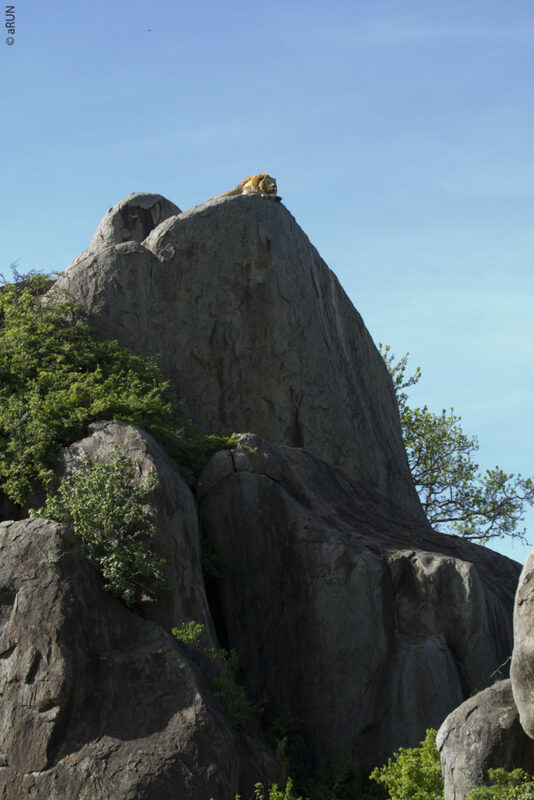 This lone mother sat atop one, keeping watch over her infant cubs. 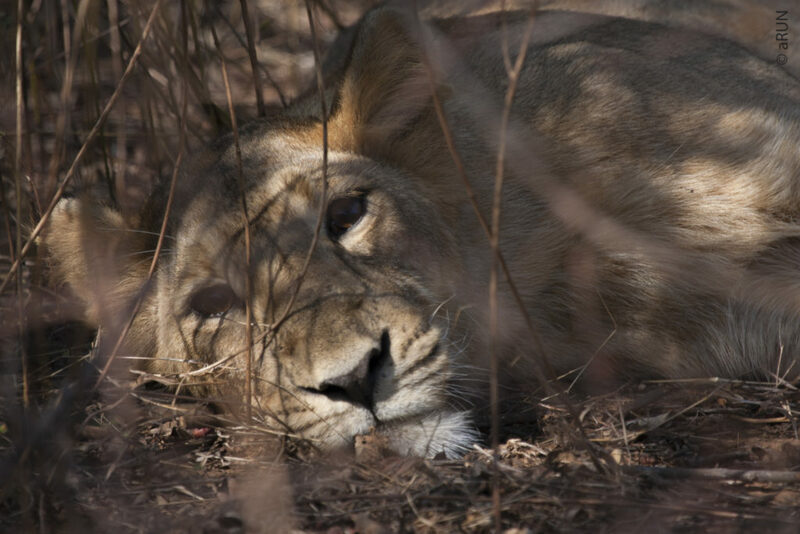 The sweltering heat of the Gujarat summer and easy availability of food makes the Asiatic lions of Gir a lazy lot. They co-exist with humans of neighbouring villages, often straying outside the park boundaries to kill their cattle. is the fastest land mammal and can reach a speed of up to 120 km an hour for short bursts; this is possible due to its slight build and slender form. Once found across Africa, Asia, Europe and North America, it is now found mainly in East and South Africa and in parts of Iran. 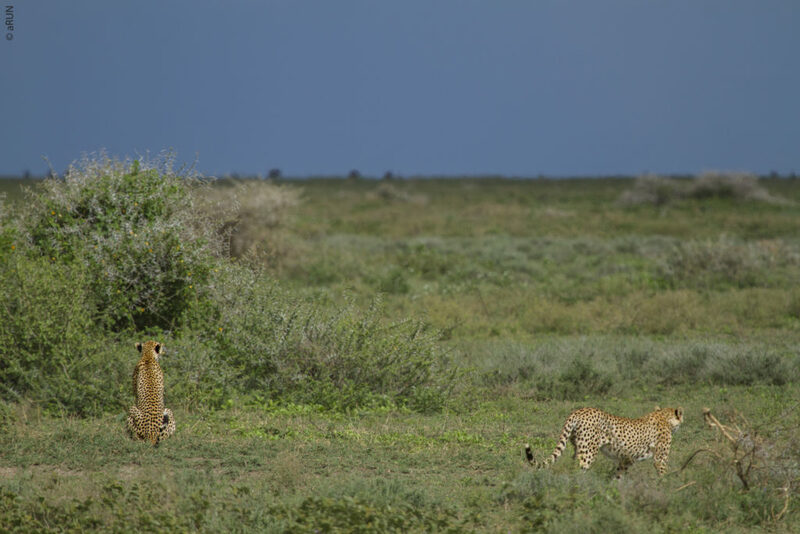 A hungry family comprising a mother and two sub-adult cheetahs scout for a quick meal. A scramble and chase at lightning speed. Before you could blink, it was all over. 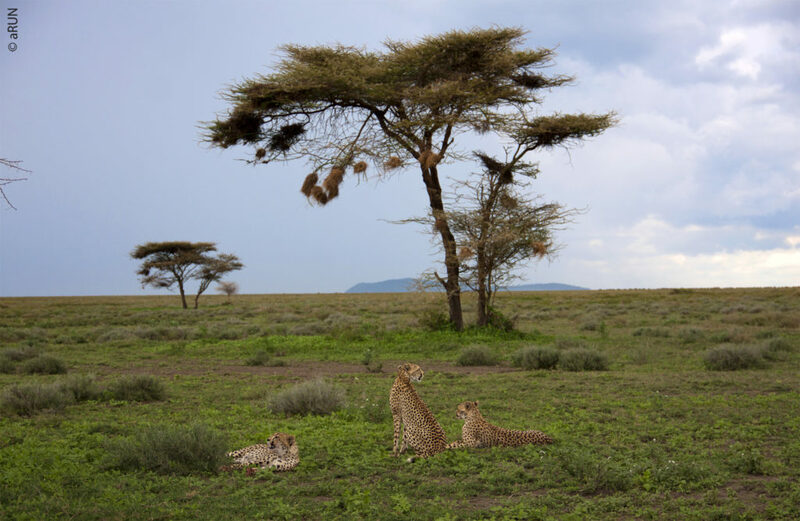 Here, three cheetahs close in on their tiny snack and claw in to make the final kill. 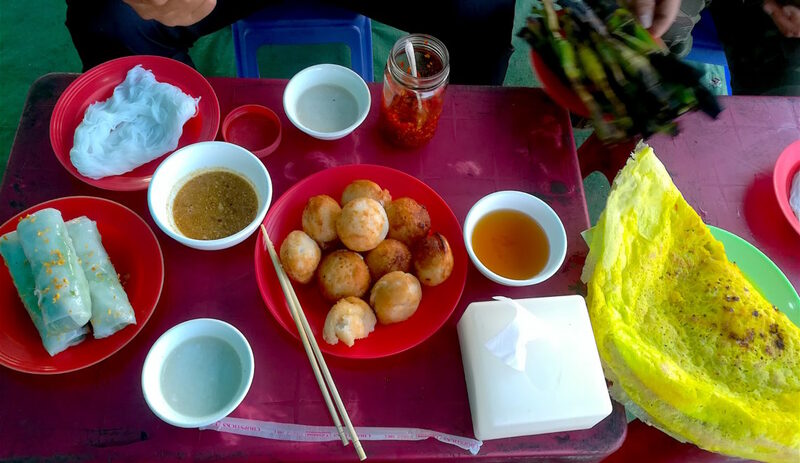 Table for three. 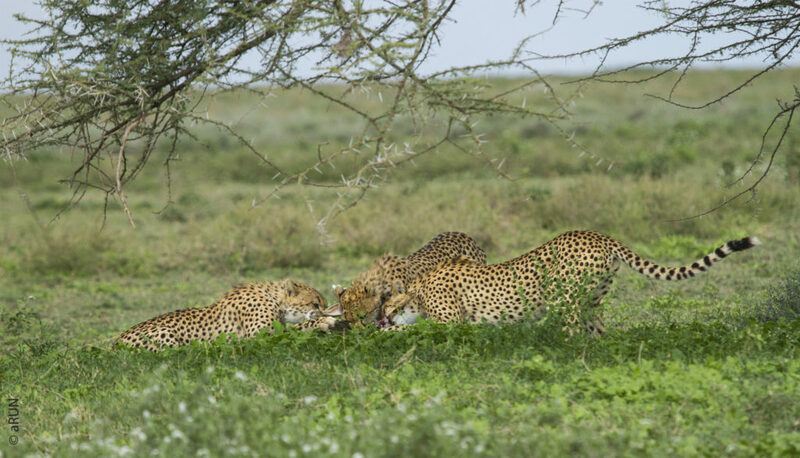 The cheetahs share the reward of their team effort by partaking of their meal together. 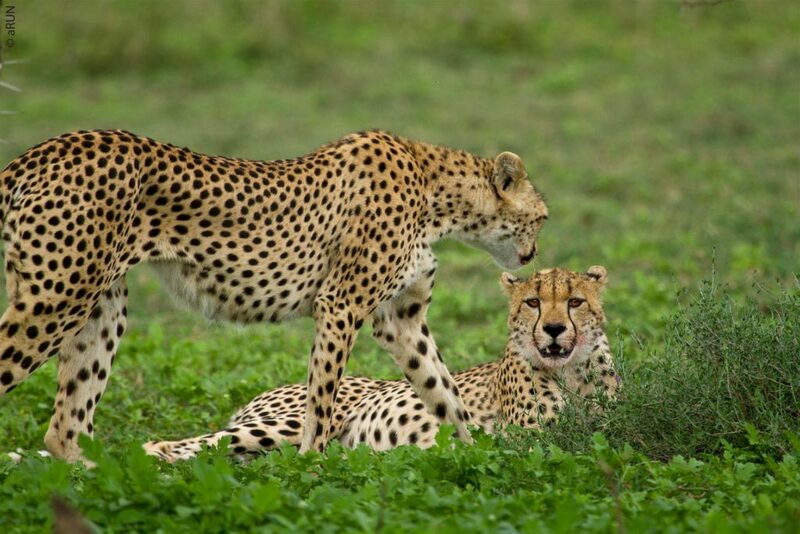 After a sumptuous snack to tide them over until the next kill, the cheetahs go back to resting and playfully wrestling with each other. Arun Ahuja has over 19 years of work experience in the communications industry. He is a hobbyist nature photographer and when missing from the office, he may be found making images in a national park somewhere. His images have been shortlisted several times for the final round of the prestigious Natural History Museum’s Wildlife Photographer of the Year (UK) awards and have also received special mentions in the Sanctuary Asia Photography Award, among others.